Personal Finance and Business is in my blood. I have owned a successful brick and mortar business for 20 years and have invested in stocks and mutual funds for 30 years. I have been a personal finance blogger and author for 15 years. 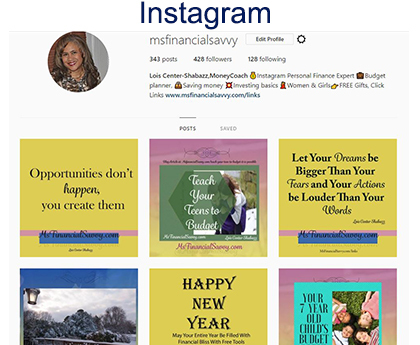 I am a hard-hitting personal finance money coach who teaches women how understanding money creates a financial life beyond your wildest dreams. It is true that more money helps, but more knowledge about money helps more than the money itself. I will show you how that works. You will be adept at guerrilla budgeting, sane savings and investing insights, with my discovery program that is all about mega money management and accumulation. Go to my website and click “Discovery” on the top toolbar to schedule your free 30-minute consultation. Click “Free Tools” at the top toolbar to instantly download your free eBook excerpts. Pick Up Your Free Gifts Now! 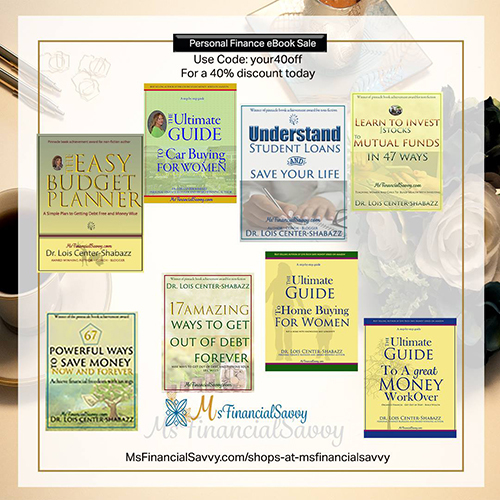 I have written “Let’s Get Financial Savvy! From Debt-Free to Investing With Ease” in 2002. 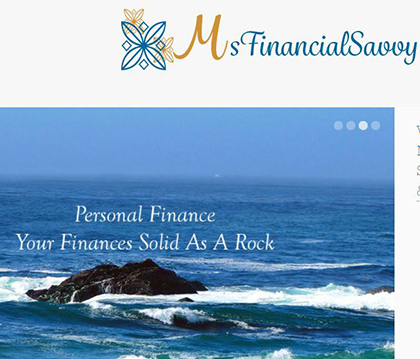 I received the Pinnacle Book Achievement Award in the Self-Help category, for Let’s Get Financial Savvy! Currently, I am a finance author and blogger, webmaster, graphic designer, acrylic artist and nature photographer. I wear many hats and I love it. Join Me On Instagram! Now! I have previously held a financial license. I talk a lot about Mutual Fund Investing in my books because I specialized in Mutual Fund Investing and research for a few decades. My investments have been very successful. There are many other investments for you to consider as well. 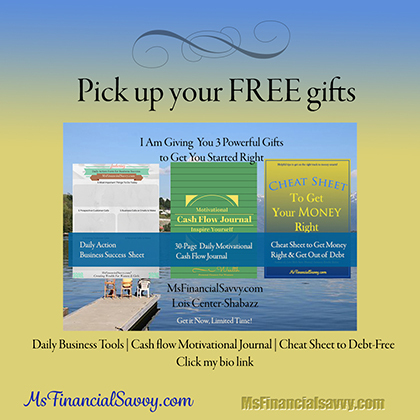 After reading articles, using Msfinancialsavvy personal finance website tutorials, and listening to my money video tips, as well as other tools provided here your personal finance IQ score will sore. I now write personal finance books and articles full time, in addition to my passion for nature photography and acrylic painting. From my personal experience, I decided that the biggest problem Americans face is “Savings”. After the financial debacle of the past decade until 2008, it was evident “that too many Americans”, are living in “too much excess” and need to “learn how to save” and understand the limitations of money, no matter how much you have, it is as simple as that. Blog Article Category: Budgeting, Savings, Investing, Personal Finance, Retirement, Recipes, and More!